The Mason Economic Development Office is ready to work with you to achieve success. Mason is one of Ohio’s innovations centers attracting the attention of some of the top companies across industry sectors including many recent successes in biohealth and the startup economy. The City of Mason offers, often in conjunction with JobsOhio, performance-based incentives to assist companies that are starting, relocating or expanding operations in the state. Funding decisions are based on a number of project factors, including but not limited to job creation, payroll figures, fixed-asset investment commitment, project location and project return on investment. Our State and Regional partners help to further our economic development efforts and competitiveness. REDI Cincinnati, JobsOhio, CincyTech, TechOhio and VentureOhio are collaborators that assist with the City’s goal of reaching targeted business sectors of emerging markets, entrepreneurs, information technology, biosciences, and advanced manufacturing. These partnerships along with many others across industry, small business and chambers have helped give Mason a high profile among investment prospects and has set the City apart from the efforts of competing communities. Economic development efforts are further enhanced by Mason’s Port Authority, the first in Warren County. This economic development tool has already provided advantageous flexibility with financial recruitment options. Since its inception, the Port has helped attract and retain over 3,000 jobs and allowed the City to attract more than $500 million in new capital investment. 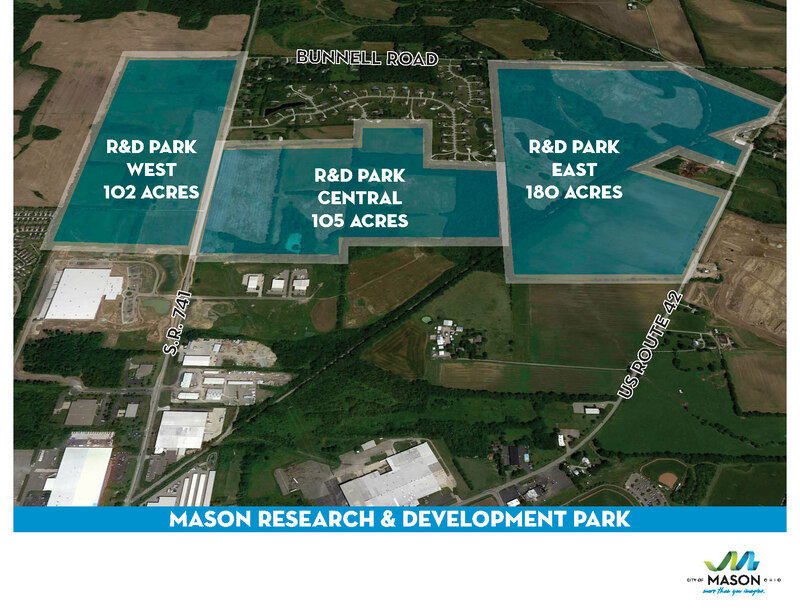 The Mason Port Authority makes regular proposals to major prospects, often in combination with the marketing of the City’s research and development park on State Route 741 and emerging biohealth hub, Oakpark along I-71 corridor. The Mason Port has facilitated opportunities for Mason that would not otherwise be possible without this important economic development tool. Mason’s partnerships with the MADE Chamber, Warren County Office of Economic Development, Warren County Chamber and Small Business Alliance, Cincinnati USA Regional Chamber, Ohio Means Jobs and Ohio Department of Development further aid the City’s strategy to attract, grow and support the economic base of Mason. Please e-mail our Economic Development Office or call 513.229.8500 to find out how we can assist your company.